UPPAbaby is an innovative company with one mission: To make high-quality baby products that fit the needs of your new life as a parent, while appealing to the sense of style you’ve always had. 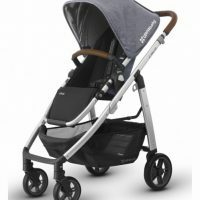 They look for ways to make their strollers and baby products lighter, more savvy, easier-to-use, even fun. 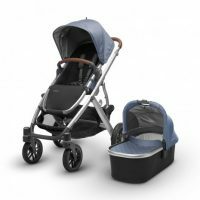 They explore ways to deliver greater comfort and safety for baby, with convenience and style for Mum and Dad. They even challenge the homogenous look of most baby products, by creating sleek designs and more sophisticated, modern fashions. UPPAbaby strives to deliver the personal attention and customer service that you expect and deserve. By pushing the edge on so many levels, UPPAbaby delivers the higher standards of innovation and style that discriminating parents appreciate. For them, it’s a matter of pride. For parents, it’s one more source of joy. We reckon our instore prices for the Vista and Cruz are the best around.